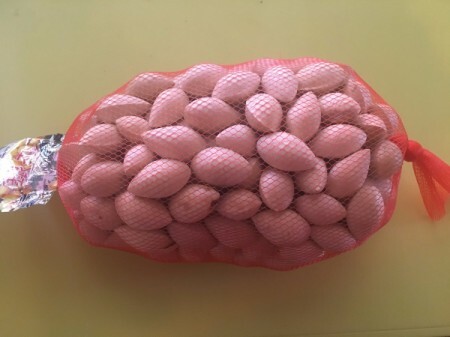 Ginkgo nuts have many health benefits including improving memory, alleviating pains, and helping the nervous system. They also have a unique nutty flavor and texture unlike anything else. They're a super popular snack in Japanese restaurants but are actually very easy to prepare at home. You can buy them at any Asian supermarket, online, or even pick them off trees if you can find them around town. 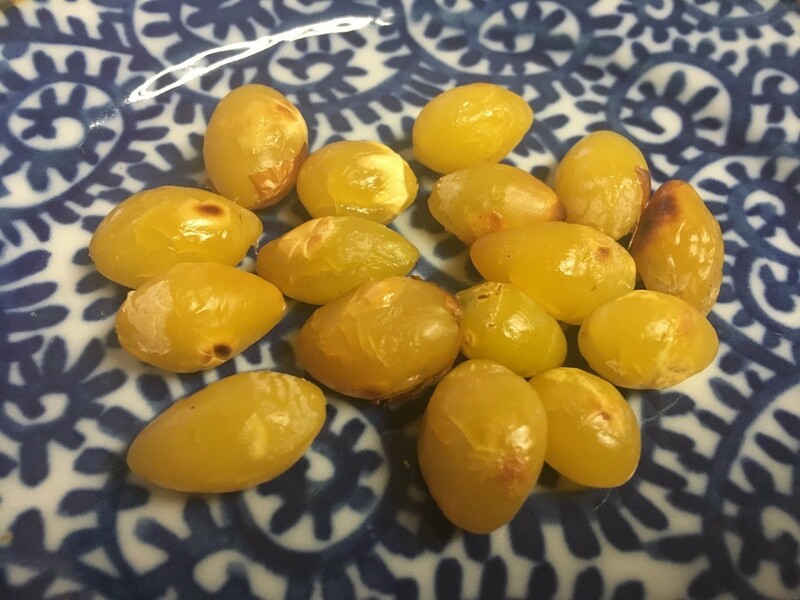 An important thing to remember with ginkgo nuts is you shouldn't eat the kernels raw and not to eat too many in one sitting (7 for children and 15 to 20 for adults) as they can have side effects for some people. 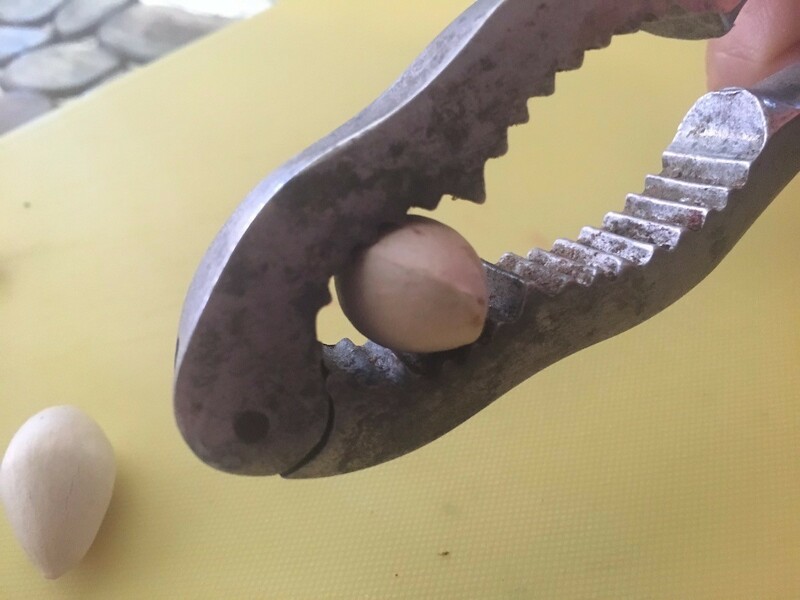 Give the ginkgo nuts a little crack with the nutcracker. 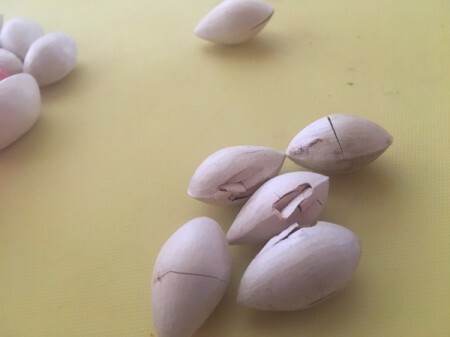 You don't want the nuts to come out, just a little crack will do. Repeat with all the nuts you plan to serve. 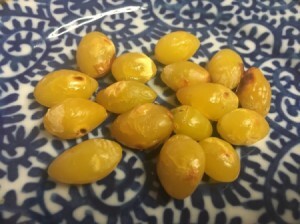 Place the dry, cracked ginkgo nuts in your pan. 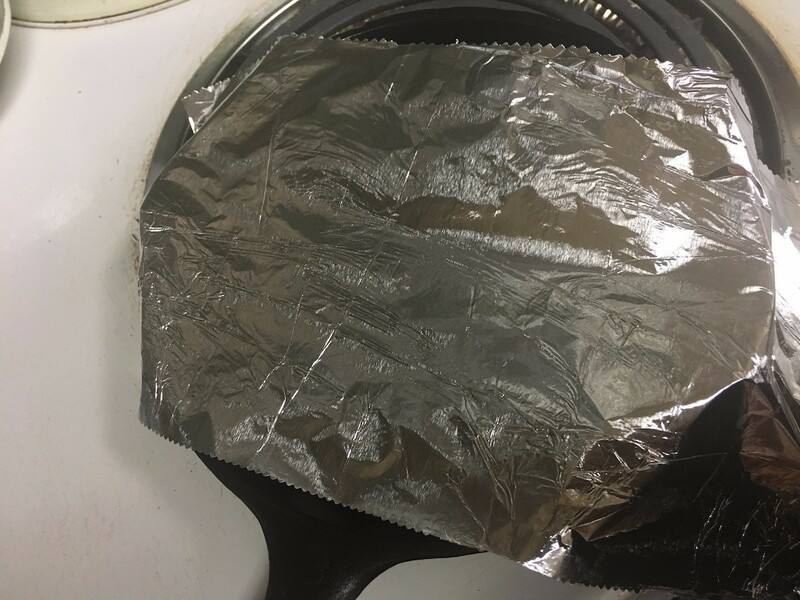 Cover with foil and set to medium high heat. Cook for a couple minutes. 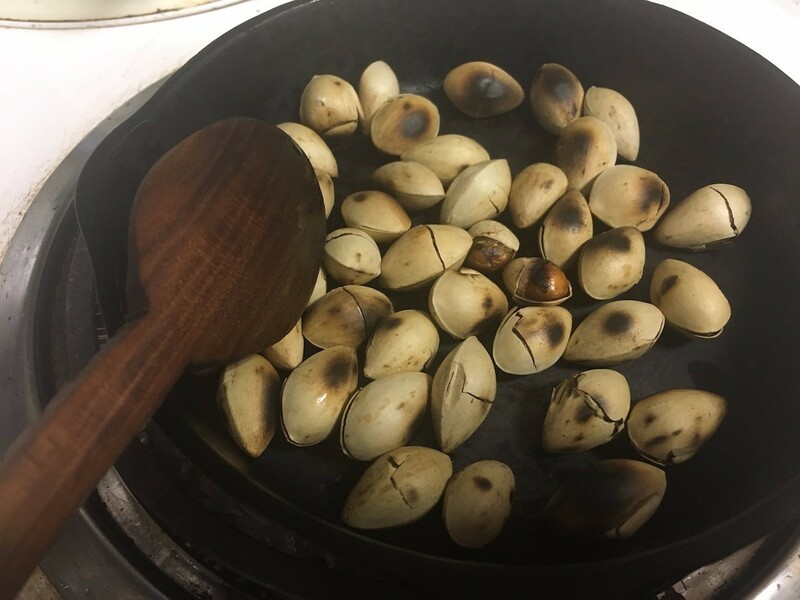 Remove foil and toss the nuts around a bit with a wooden spoon until all sides are a bit charred. 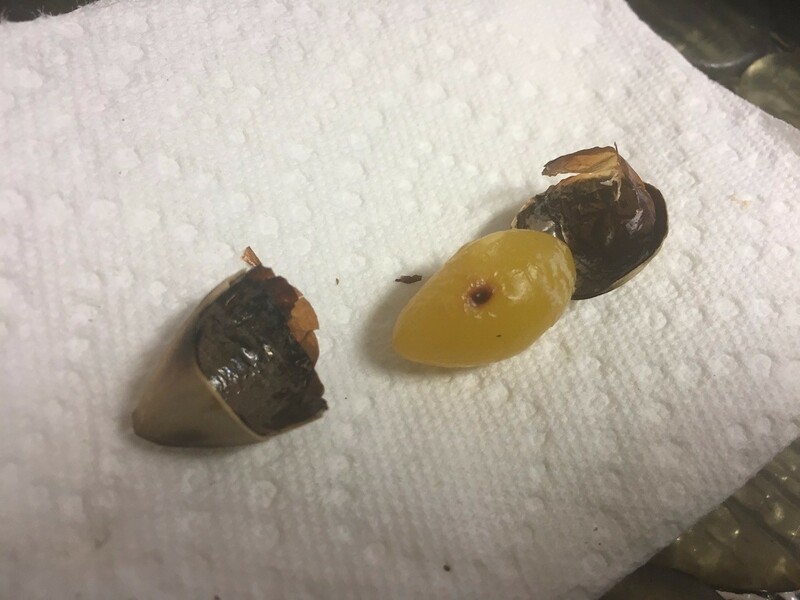 The shells will have opened a bit more on their own and the interior nut will be a luminescent green colour. 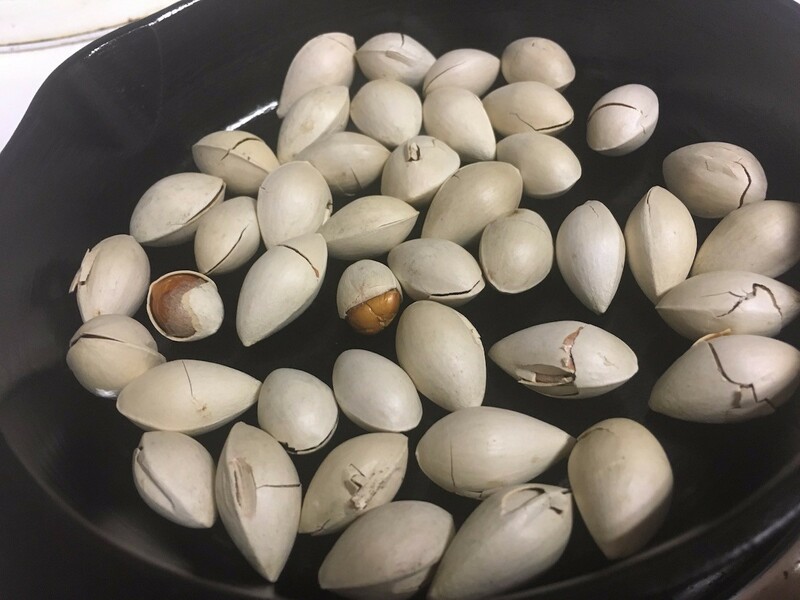 Allow them to cool a bit then pull the nuts out and enjoy while warm. You can add salt to them but I like them as is.